The very first sequence in which Kamal Haasan appears in the movie is a beautifully choreographed Kathak Dance sequence, and that very instant I got transported to the past like a flashback sequence in a movie. I must have watched that movie countless times on VHS tapes back then and seeing Kamal Haasan dance in Vishwaroopam brought back those good old memories. Being a Two Faced Indian, I was lucky enough to enjoy the few quality films Hindi cinema had to offer as well as the abundance of memorable movies produced down south during the 80’s. And Kamal Haasan was the one who gave the best performances with his varied range of roles. I still can’t imagine any other actor of today who can do justice to the kind of sequences that I shared in the videos above. Though Kamal Haasan made his Hindi debut with a blockbuster in the form of ‘Ek Duuje Ke Liye’ he didn't get to essay the best of the roles there. However, luckily for him, most of his performances from the south gained nationwide prominence and Mani Rathnam’s ‘Nayagan’ in 1987 placed him in an entirely different league. He followed it up with one creative endeavour after the other, ‘Pushpak’ was one of them, a first of its kind silent film; he played a midget (it is still a secret as to how he shot those scenes) in ‘Appu Raja’ and so on. Kamal Haasan was an artist the nation was proud to have and his films were often sent to the Oscars as entries from India. All this, while Bollywood was content producing revenge dramas and love stories and never ventured outside that comfort zone. Kamal Haasan was the outlier and the pride of the nation! This streak went on for another decade as he kept on experimenting with different getups as well as genres, and his most notable success in the 90’s were ‘Indian’, directed by Shankar followed by ‘Chachi 420’ his interpretation of ‘Mrs. Doubtfire’ which he directed himself. However, the frequency of his films reduced greatly in the 90’s and I slowly forgot about Kamal Haasan, especially after the beginning of the new millennium. ‘Hey Ram’ was the last Kamal Haasan movie that I watched in a theatre and that was more than a decade ago. The reason could be that he concentrated on too many comedies or remakes of already popular Hindi films like ‘Munnabhai MBBS’ and ‘A Wednesday’ or because of his failed attempts at larger than life films like ‘Marudhanayagam’ that got stalled or the extremely bad reviews for his adventurous films ‘Abhay’ and ‘Mumbai Express’, I somehow never dared to or bothered to venture out to a theatre playing his films again. By the time his ‘Dasavatharam’ came out Mallika Sherawat made more news for her outfit than the actual movie itself. During the same period (From early 2000’s), Aamir Khan (Laagan being the major turning point) went on to wear the crown of the intelligent actor who attempted different roles and movies among Indian actors. Kamal Haasan slowly became a distant memory for me, I suspect for many others too outside of Tamil Nadu! This according to me is a tragedy for an actor who has always done path breaking work for the longest possible time. Sample this, Jawaharlal Nehru was the Prime Minister of the nation when Kamal Haasan first faced the camera as a child artist and Sunil Gavaskar was yet to make his test debut by the time Kamal Haasan started playing roles as an adult; such is his longevity. The bigger tragedy however is that 50% of India’s population today is below the age of 25 (those born at fag end of 80’s and later) and they would never be able to understand the brilliance of Kamal Haasan’s countless performances especially from the 80’s and early 90’s. Their only idea about south films thanks to Shah Rukh Khan, is ‘Enna Rascala, Mind It’ and countless Rajinikanth jokes. Kamal Haasan does not figure in their dictionary, their memory, not even in their jokes. Why blame the poor kids, he even escaped my memory until I saw him on screen after ages, I was guilty of neglecting him. My initial feelings of guilt slowly made way for joy as I had rediscovered a part of my growing up years watching Kamal Haasan perform on screen as a dancer first and then in what some call as the ‘Basha moment’ or the ‘Superman moment’ of transformation where he is no more the effeminate dancer but a death machine in motion, the audience erupted into spontaneous thunderous applause, something extremely rare to find in a Delhi multiplex out of all the places. It is famously said that “Revenge is a dish best served cold” but Kamal Haasan had his revenge by serving it piping hot, I couldn’t have asked for anything better. Kamal Haasan used to be the world for Indian cinema once upon a time and now he is once again hell bent on showing us his true Vishwaroopam! How can one talk about Vishwaroopam without the surrounding controversy about it's portrayal of Muslims as terrorists. By making ‘Vishwaroopam’ Kamal Haasan has done a great favour to the terrorists, for no one has ever shown their side of the story so convincingly. There is a sequence in the movie where a young lad takes on a mission to go on a suicide bombing, the build up to the scene is so convincing that you feel sad for the lad and at the same time don’t feel offended by the action that he takes of blowing up a NATO camp. Kamal Haasan has given a human face and a back story to a nameless suicide bomber, the same ones that we read about in the newspapers with alarming regularity. This story could work well in any context and it is incidental that the terrorists in question are Muslims. If someone made a film on the Ramayan and sympathised with the character of Raavan then I am sure a lot of people would have issues too. The point here is that there are always two sides to any coin and religion is the last thing that Kamal Haasan was trying to talk about here. This also reminds me of an old blog post of mine called ‘Osama: Gandhi with a Gun!’, where I draw parallels between Osama bin Laden and Mahatma Gandhi. If you have the time I suggest you read that before assuming things reading the title alone. Once you read it you would also notice that Omar the villain in the movie has some similarities with Gandhi in his approach to discard western influences in his life and the ones around him. In the same blog post I also shared a link to another story that showed pictures of war in Afghanistan to highlight how one side of the story is never shown. What Kamal Haasan has done is show us the untold story through the flashback episode set in Afghanistan. Throughout the movie there is a certain ambiguity in the character of Kamal Haasan where we keep wondering who he actually is and we later on come to know that this is a question that Kamal Haasan’s character himself doesn't know and doesn't want to talk about in this film. Maybe the sequel will give us more clarity on what his original motivations were, for he too seems to be carrying too many demons of his own. The narrative structure of the movie is like the Terminator or Star Wars movies which makes it almost virtually impossible to pin down defects or find loopholes in the narrative as there might be a perfectly reasonable back story and logic behind why certain things happen the way they do in the film, it is just that we haven’t seen the sequel yet so we can only speculate for now. This speculation leaves tremendous scope for imagination and every scene is pregnant with interpretations. Those who chose to overlook those details might be a bit disappointed with the incompleteness of the movie. 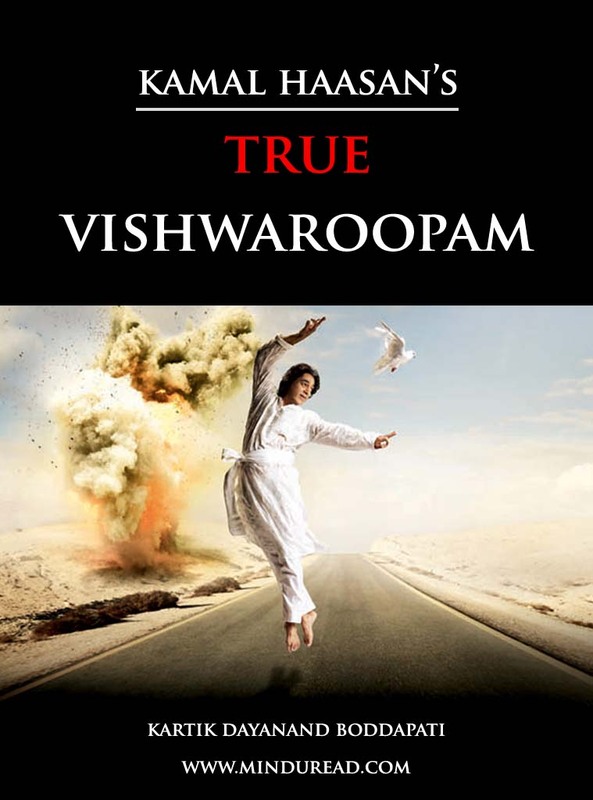 Overall Vishwaroopam is a delightfully well made film with the fineness that is equivalent of an ‘A grade’ Hollywood production and won’t be an exaggeration to say that it even surpasses them in some cases. The choice of technicians, right from having Birju Maharaj as the choreographer to Shankar-Ehsaan-Loy’s music, the cinematographer, sound designer, locations, stunts, costumes etc are all of a very high quality. And not to forget the unique casting of the film shying away from featuring well known commercial faces and instead choosing performers of high calibre. Pooja Kumar was delightfully natural and absolutely pleasing to the eye and Rahul Bose along with Jaideep Ahlawat provided the right depth and height to their characters. Shekhar Kapoor lent a lot of dignity to a very crucial character which we hope to see more off in the sequel, same case with Andrea Jeremiah. Going into the auditorium, I was skeptical thinking that this is the dubbed version of a Tamil movie but all my doubts vanished as soon as the story started unfolding, it wasn't anywhere remotely close to a Tamil film, infact I really wondered how this movie could have been made in Tamil, it has an international canvas and could have worked even with purely English speaking characters. If there is one sequel that I am eagerly looking forward to then it has to be 'Vishwaroopam 2', which seems like a well thought out extension of the first part unlike a lot of other franchises which seem like afterthoughts. 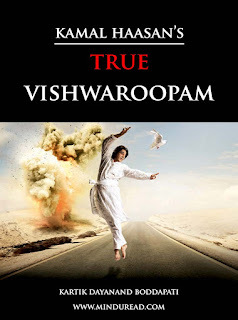 The whole experience of watching Vishawaroopam was a liberating experience that comes a full circle for me after writing this blog post, else it was too big a burden for me to carry after watching the movie. I don’t know if you carry similar burdens too but you could help me and maybe yourself by further sharing this post with your friends and rekindle the interest in them to discover/rediscover Kamal Haasan’s true Vishwaroopam.